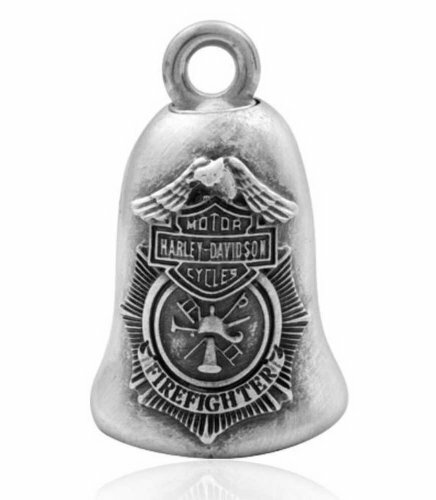 Harley-Davidson® Bar & Shield Eagle Firefighter Ride Bell. Antique Silver metal look. The bell is made out of metal. Includes ring for hanging. Legend has it that the mystery of the GuardianTM Bell carries twice as much power when it is purchased by a friend or loved one and given as a gift.